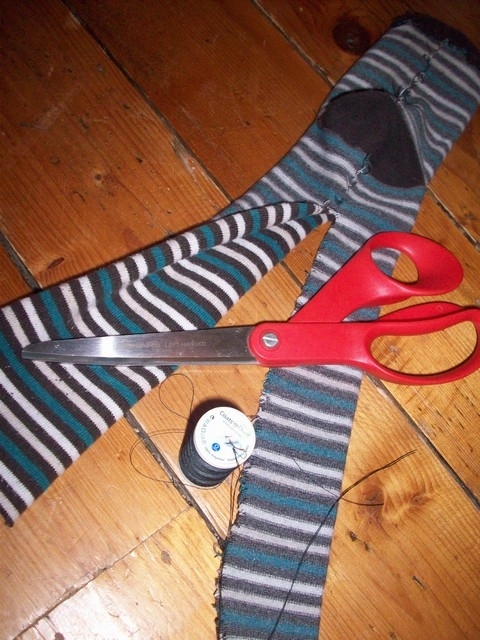 This entry was posted on Sunday, January 13th, 2013 by Frances Ryan. 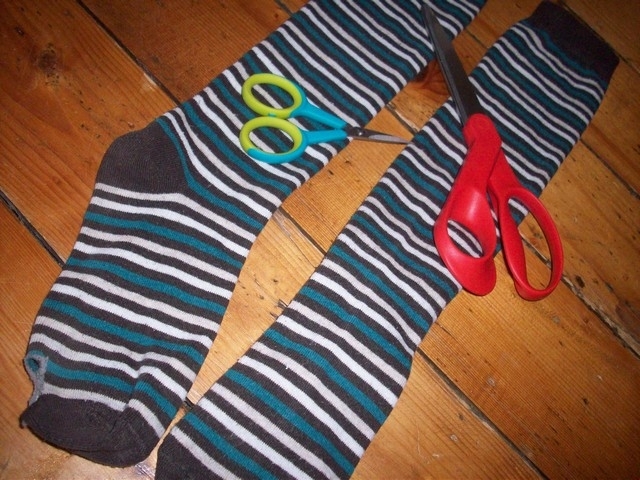 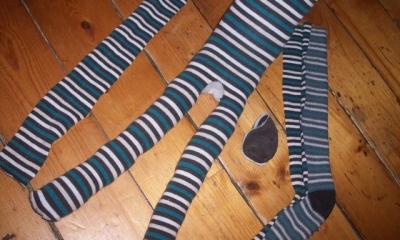 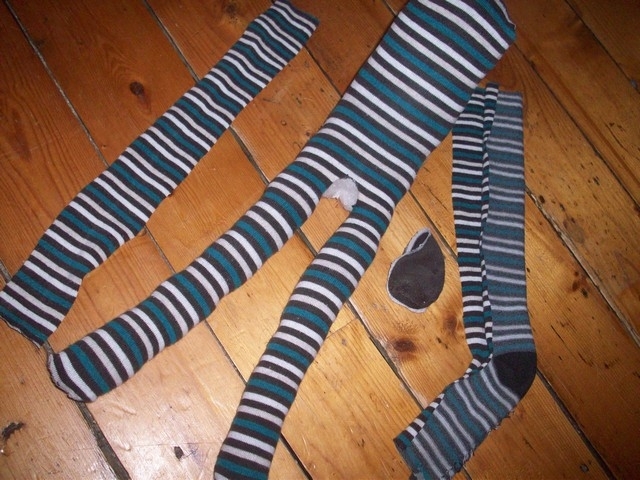 I love my knee-high stripey socks and was a bit sad when I wore a hole through the toe of one of them over the summer. 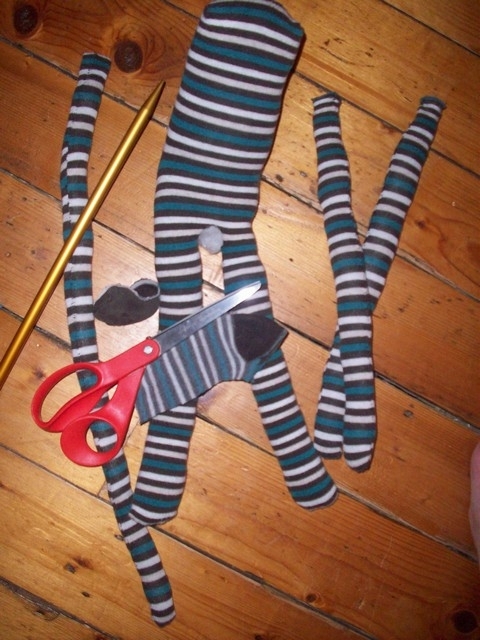 But I decided that maybe I’d make a sock monkey with them. 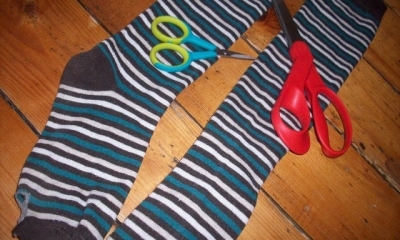 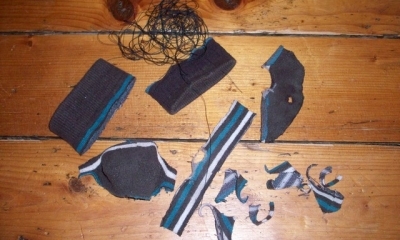 So I put the socks aside for my future crafting project. 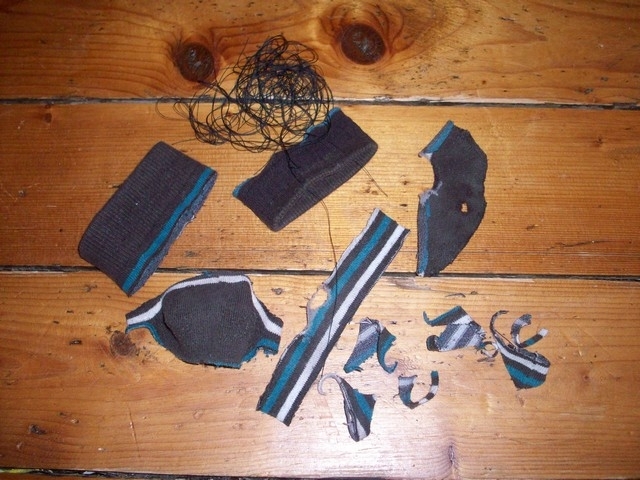 Fast forward to the start of the New Year when I decided that I would work harder at doing things for me all year. 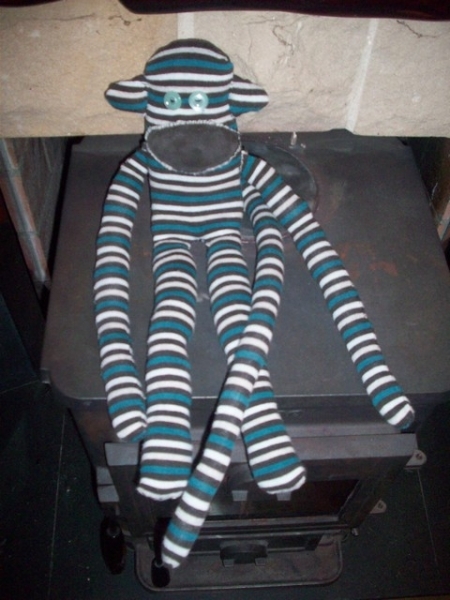 Which means that I finally got around to making my sock monkey. 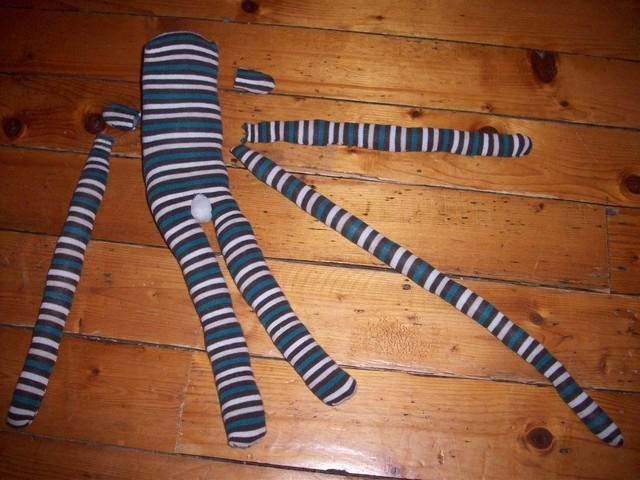 It was really fun teaching myself how to make a sock monkey, but I realised that I need to teach myself some basic stitches for the next time, too, since mine ended up a bit, um, unprofessional looking. 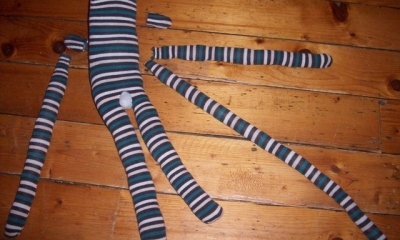 And what will I do with my sock monkey now that it’s done? 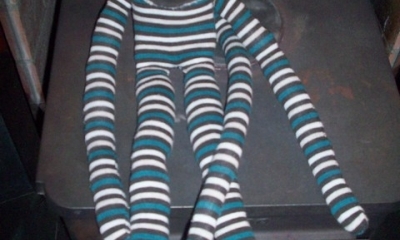 Well, I’m going to send it to a friend because she needs some smiles. 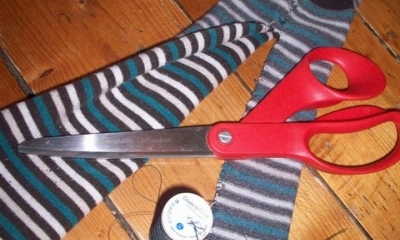 And what better way to smile than to laugh at how bad of a seamstress your friend is? 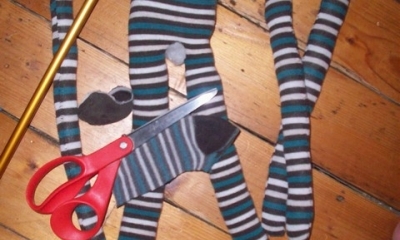 I’m kind of hoping I wear holes in another pair of socks now so that I can make another monkey!